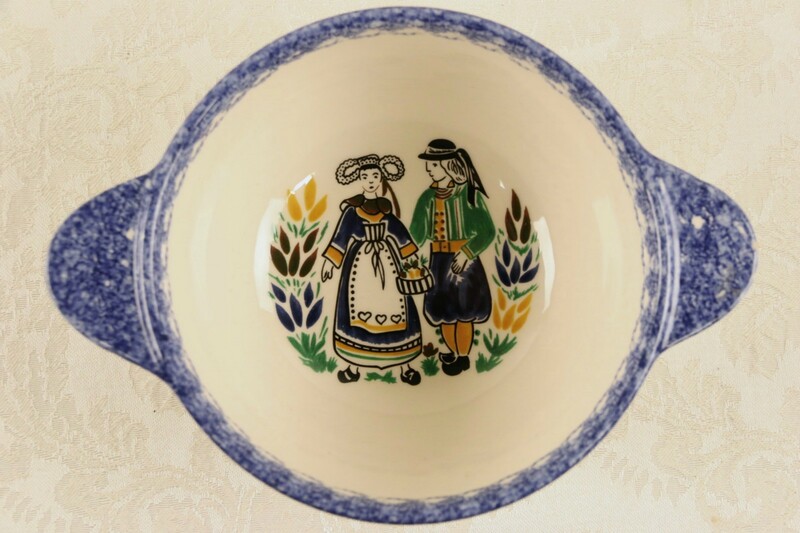 Signed "Quimper," this wedding bowl or porringer was hand painted in Brittany, France. There are tiny flakes to this pottery. Size is 7 1/4" across, 5 1/4" diameter and 2 1/2" tall. USPS Shipping is $8.00 in the US.